The southernmost city found in Palm Beach County, Boca Raton has a population of just over 91,000 people. However, the area is home to about 200,000 people with many residing just outside the municipal boundaries in areas, such as West Boca Raton. The city is home to the Florida Atlantic University campus. Boca Raton also provides the headquarters of ADT and Office Depot. It's also home to the upscale shopping center, Town Center Mall and Mizner Park. These attractions, along with the University bring plenty of visitors to the area every year. Palm Beach County has an average of about 15,000 traffic accidents every year. Boca Raton is close to the Miami area, which brings even more traffic to the area. The excellent beaches, attractions and FAU draw many tourists every year. Interstate 95 splits Boca Raton in half, which is one of the deadliest highways in Florida. Over 189,000 vehicles use I-95 every day. Just about every car crash in Palm Beach County includes an injury. More than 1,000 alcohol related traffic accidents happen every year within Palm Beach County. Without traffic laws being enforced in the Boca Raton area, accidents would be much higher. Over 127,000 traffic tickets were issues in Palm Beach County for 2015. Out of these tickets, more than 66,000 were speeding infractions and another 7,600 were for careless driving. Only about 15% of the tickets issued were dismissed. If you don't keep your driving record clean, you may end up living without driving privileges for an extended amount of time. 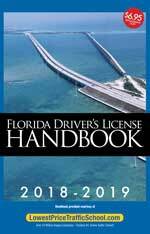 Drivers in Boca Raton accumulating 12 points in just 12 months will lose their license for 30 days. Those receiving 18 points in 18 months will lose their license for 90 days, while 24 points in 36 months will give you a one year suspension of your license. It doesn't take many traffic infractions to rack up enough points for a suspension. Only three or four tickets in a year and you could lose your license. If you continually break traffic laws, you may end up needing somebody to drive you around instead of driving yourself. It's easy to see how you could rack up points quickly. Just a few speeding tickets and you may lose your license for 30 days to a full year. It would only take 6 to 8 tickets over a span of three years to lose your license for an entire year. After you receive a traffic ticket, you may have the option to enroll in traffic school in Boca Raton. Online traffic school will allow you to keep the points from going on your license and will also keep your insurance rates from skyrocketing. 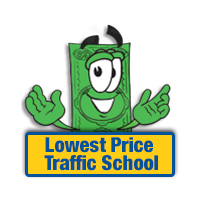 You will need to plead no contest or guilty, pay your ticket, and then enroll in traffic school online. Once you complete the Basic Driver Improvement School you will be issued a certificate of completion. You will be able to turn this certificate into the county clerk for the county in which you received the ticket. This will keep the points off your license and keep your insurance company from dropping you or raising your rates. In the State of Florida, you are eligible to take traffic school up to five times. However, you're only allowed to use online traffic school once every 12 months to eliminate the points from your license and keep your insurance rates from going up. The clerk of the court will be able to tell you if you're eligible for traffic school when you pay your ticket. All traffic ticket payments and processing is handled by the Palm Beach County Clerk of the Court. It doesn't matter which branch of law enforcement issued the ticket, if it was issued in Palm Beach County, you will deal with the Palm Beach County Clerk of the Court. If you plan to use traffic school to remove points from your license, make sure you notify the clerk of the court at the time of paying for your ticket. You can find out more about the Palm Beach County Clerk of the Court by visiting their website.